San Francisco Taiko Dojo will celebrate its 50th anniversary at the International Taiko Festival featuring Grandmaster Seiichi Tanaka, the father of modern taiko in North America. The two-day event will boast gripping performances and special guests from Japan, Wako Daiko and Taiyo Onoda. Tanaka founded San Francisco Taiko Dojo in 1968 based on the philosophy of unity of mind, body and spirit. Influenced by Confucianism and his training in the Chinese martial arts, he emphasized the importance of rigorous physical, mental and spiritual training. Tanaka decided to introduce a school of taiko, the art of Japanese drumming, in the United States while on a trip to San Francisco’s Cherry Blossom Festival. 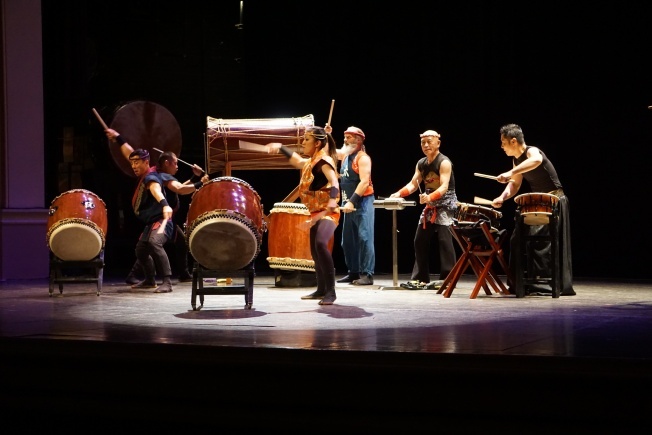 After noticing that there was no taiko drumming at the festival, while in Japan it is customary at almost every event, Tanaka knew he needed to bring taiko to the United States. Since then, San Francisco Taiko Dojo has received a number of acknowledgments and awards. Emperor Akihito of Japan presented Tanaka with the Order of the Rising Sun for fostering U.S. and Japan relations and cultivating an understanding of Japanese culture in the United States. In 2001, the U.S. National Endowment for the Arts named Tanaka a National Heritage Fellow, an award considered one of the highest honors in folk and traditional arts. WHEN: Saturday, November 10, 2018, 7:00 p.m. & Sunday, November 11, 2018, 3:00 p.m.